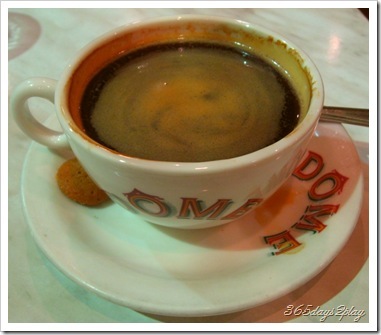 The Partner and I had a cuppa at Dome Cafe today. 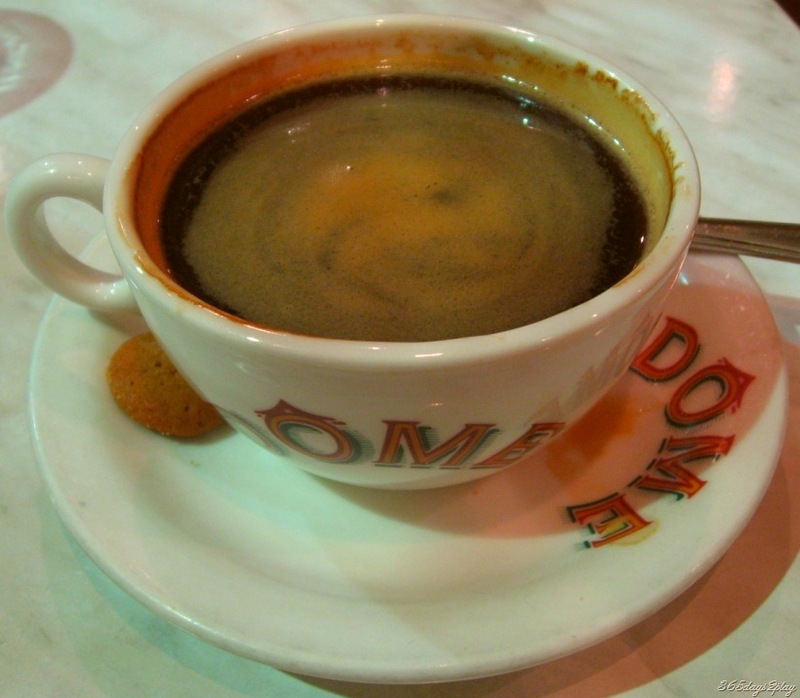 We shared a long black, which is made with 2 shots of espresso and hot milk on the side. 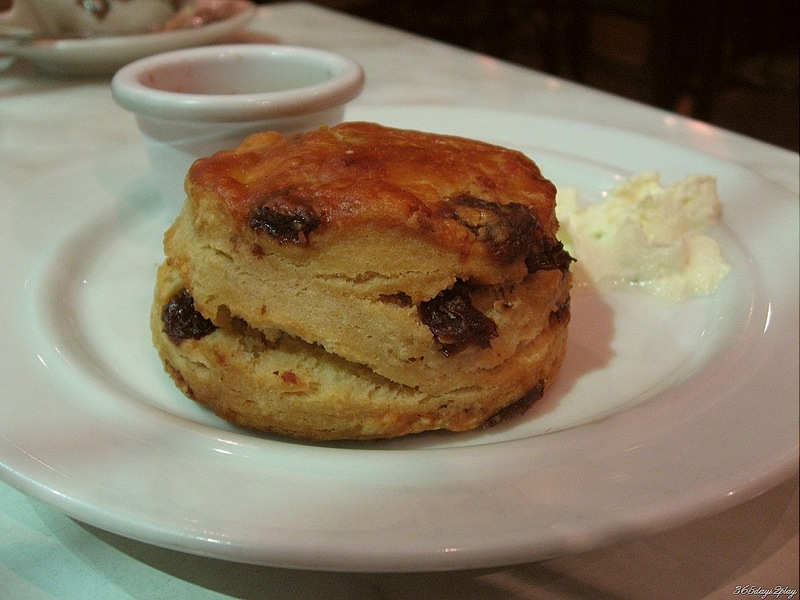 We also ordered a raisin and date scone. The coffee tasted very good despite my initial hesitation because I usually go for the cafe latte. The thing with coffee nowadays is that it is so bloody expensive. 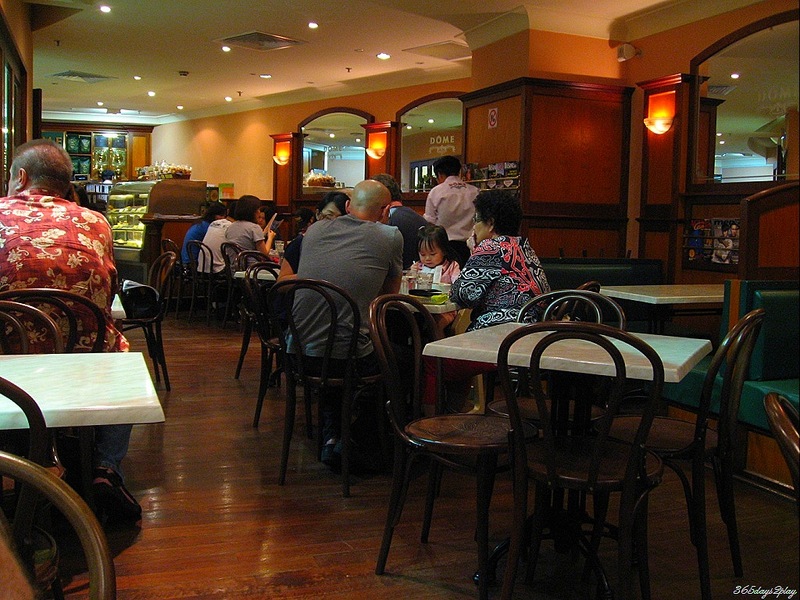 A cafe latte or a cappuccino will set you back by more than $4, and in many cases, $5 or even $6. But yet the actual amount of coffee in a latte is lesser than the milk! So what you’re paying for is coffee flavoured milk! No wonder coffee doesn’t wake me up in the mornings anymore! So the smart thing to do is to order the black coffee, or long black in this case, and have the “free” milk on the side. Now you know the secret. And the long black costs only $3.80, as compared to the latte which cost a dollar more. 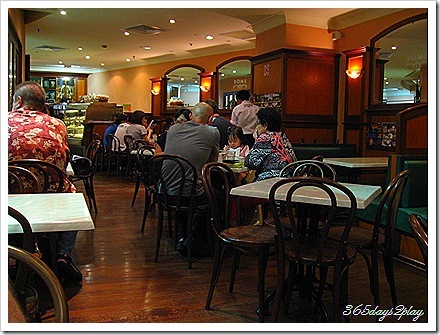 And while we’re on the topic of coffee, am I the only one out there in Singapore that doesn’t like the foam on top of the cafe latte or the cappuccino? I scoop out the foam and chuck it away. In New Zealand, you can get a flat flat white, which means no foam. 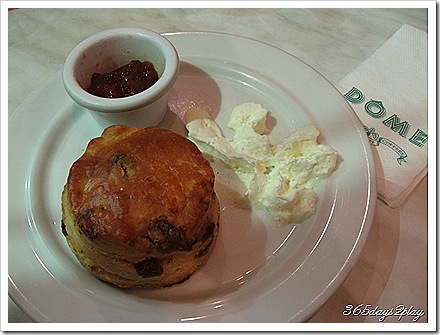 The scone was not as nice as it used to be, and it costs $3.20 now instead of $2.50. Still, it was much better than the one we had at Jams Cafe a few weeks ago. 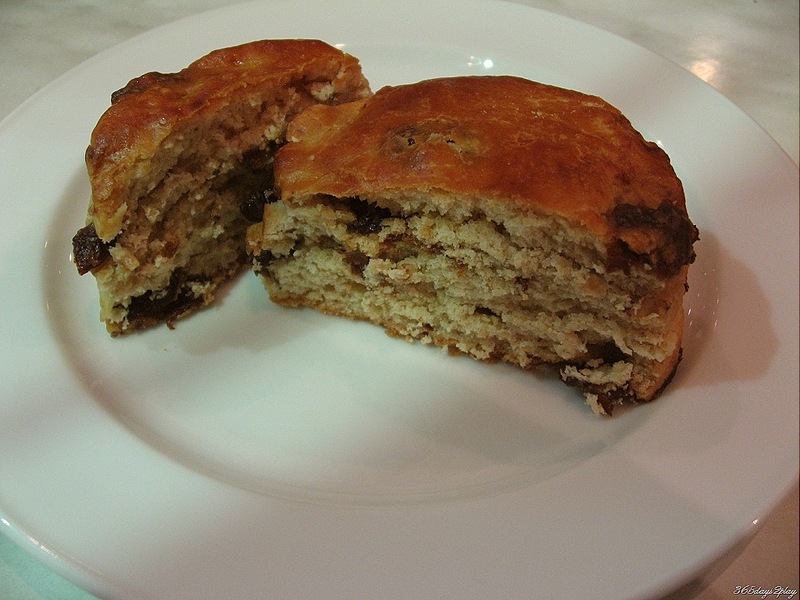 It scored many brownie points, or shall I say scone points, since it was chock full of raisins and dates. 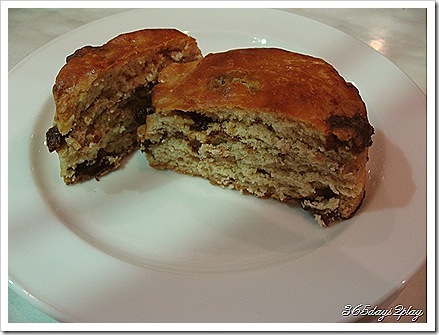 The raisin and date scone. Behold the masterpiece of whipped cream the staff tried to create. I think they need further lessons on that…. 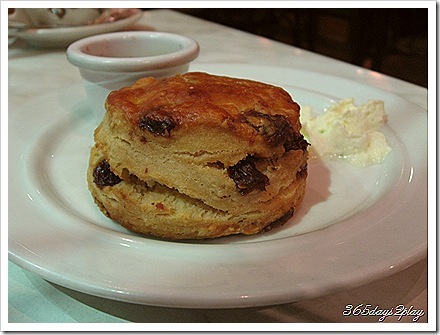 Cross-section of the scone. 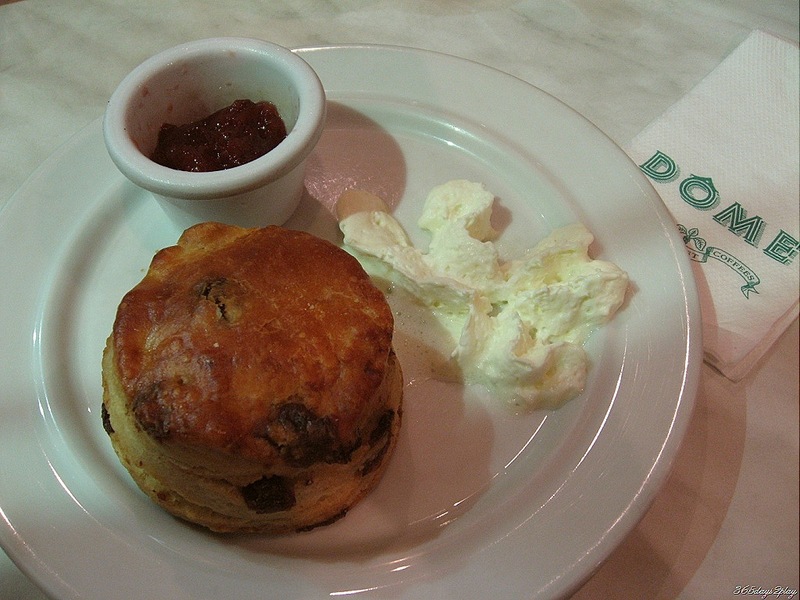 As you can see, it is very dense and substantial, which is the way I like my scones. None of the fluffy crap for me. I like the woody decor of Dome Cafe. They have a generous selection of magazines to keep you occupied. Dome has great ambience. I love the wood…reminds me of an old library.